​Ted Meyer is a nationally recognized artist, curator and patient advocate who helps patients, students and medical professionals see the positive in the worst life can offer. Ted’s 16-year project “Scarred for Life: Monoprints of Human Scars” chronicles the trauma and courage of people who have lived through accidents and health crises. Ted seeks to improve patient/physician communications and speaks about living as an artist with illness.Telling stories about his own art and the stories behind his scar art collection, he offers insight into living with pain, illness, and disfigurement. Ted has been featured on NPR and in the New York Times, WashingtonPost, Chicago Tribune, and USA Today. His work has been displayed internationally in museums, hospitals,and galleries. As the current Artist in Residence at USC Keck School of Medicine, Ted curates exhibitions of artwork by patients whose subject matter coincides with medical school curriculum. 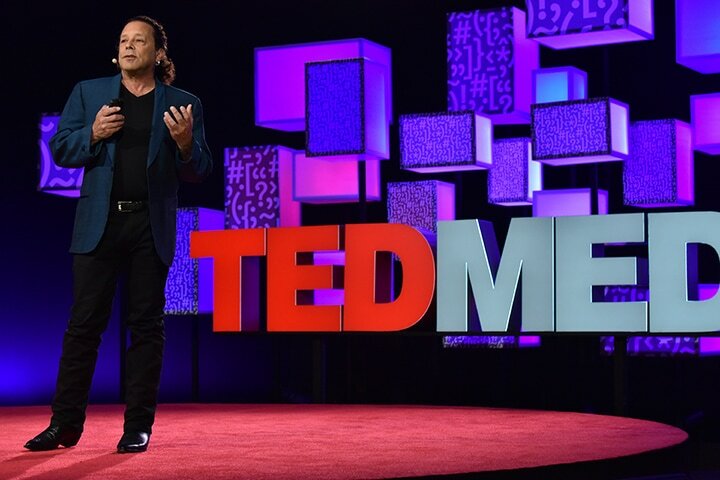 Ted has curated shows by artists challenged by MS, cancer, germ phobias, back pain, and other diseases. In addition, he is a Visiting Scholar at the National Museum of Health and Medicine, has completed the Aspen Seminars at the Aspen Institute and been a main stage TED speaker.